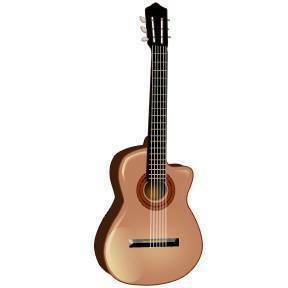 The Kidstune Guitar Program is for children as young as age 5 up to teenagers. Children learn to read music as well as play ensemble pieces. Students will learn traditional finger style pieces as well as contemporary songs. Private lessons for all ages including adults are also available. The rates for The Kidtunes Program lessons are $48 a month for the first sibling, $44 a month for the second sibling and $40 a month for every sibling after that. If a student becomes ill, a makeup lesson can be given when my schedule allows. A guitar is required and can be purchased quite reasonably from ToysrUs, Target or Kmart. They all carry the brand “First Act” and it is an excellent quality instrument for the price. Patrick has been teaching music lessons for over 20 years and is currently teaching group guitar classes as well as music theory and history classes at King’s College. Mr. Temple has a Master’s degree in guitar performance and a Bachelor’s degree in music theory. He has been teaching the Kidtunes program for over 18 years.